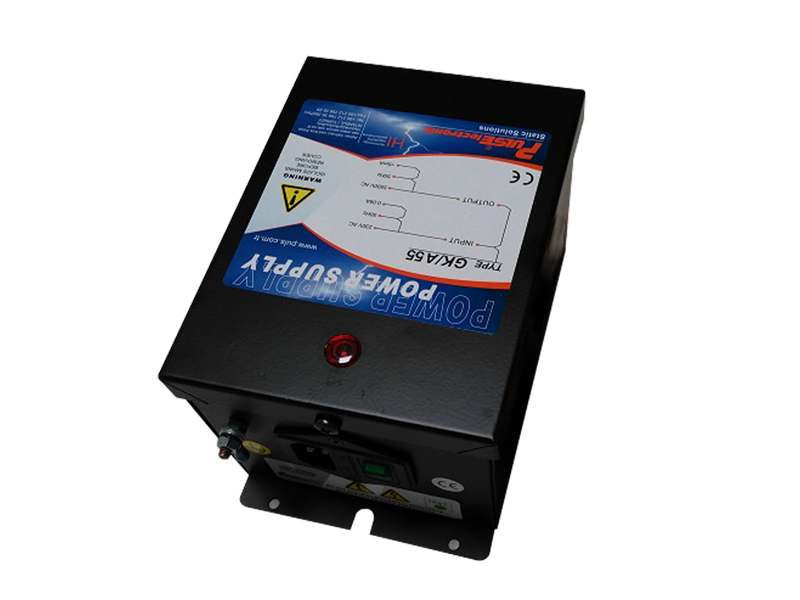 Anti-Statik Power Supply is a high voltage generating source for active ionization devices. Its set-up and operation is simple and does not need any extra care.Operation of more than one static bars is possible. There is a protection card for the system security in case of a short-circuit.This protection cart cuts down current and disables circuit in case of a short-circuit in the connected the high voltage cable of ionization devices or ionizer .In this case ,the transformator included in power supply operates longer and becomes more secure. Application: Slitting/Wrapping/Re-winding/Stretch/Foding Machine/Paper Mills/Blasting/Film/Extrusion/Flexo Printing/İnjet Printer/Laser Printing/Coating/Lamination/Plastik Bag/Sheet. : IEC-320 3X0.75 2mt. power Cable. : Output connections 4 pice.